For awhile there, my sweet tooth was BAD. I wanted ice cream and cookies and when I’d splurge, I’d buy the coconut milk based ice creams or allergy friendly cookies; I convinced myself they were better versions and while yes, they are in comparison in many ways, when you find yourself buying and eating them simply because you’re craving it (especially when that craving is hitting more frequently), it isn’t any better. I would think about making myself some banana ice cream, chia pudding or simple coconut flour cookies, but I’d find a way to convince myself it was too much work, I was too tired, or some other ridiculous excuse. But when my parents brought a big batch of freshly picked strawberries the other weekend, it was a game changer. Topped with a drizzle of coconut butter and it felt like an instant dessert. With a can of coconut milk in the cabinet, I got an idea and whipped up this delicious strawberry shortcake chia pudding which is sure to fulfill any sweet craving! Mix coconut cream, almond milk, vanilla and honey into a bowl until well combined. Then stir in chia seeds. Allow to sit for about 3 minutes, then stir again, cover and refrigerate for an hour or until ready to eat. When serving, top with fresh sliced strawberries. Mix remaining coconut cream from the can with a splash of vanilla and keep in the fridge. 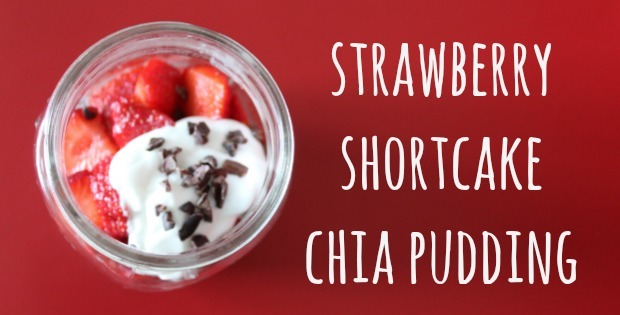 Spoon a dollop on top of the strawberries and sprinkle with cacao nibs. It totally looks like a little strawberry shortcake, don’t you think? This was so tasty and I know you all are going to love it, as well! What healthier treat do you grab when craving something sweet? That is a yummy combo of flavours all in the one place! I love chia puddings, they are the best. I love strawberry shortcake anything!! topped with chia is a perfect healthy addition! i love strawberry shortcakes so I LOVe the sound of this! yum!!! Holy wow this looks amazing!!! SOOO yummy! Katie, how did you know exactly what I needed? 😀 I’m so excited to make this!! Yum! I love all things strawberry-this looks so delicious!! Yum! This looks awesome!! I like to do dark chocolate chips and blueberries as a dessert…so yummy! Wow, this looks so yummy. These kinds of guilt-free desserts are my favorite. yes yes yes, i can only imagine how thick and delicious this is with the coconut milk!! 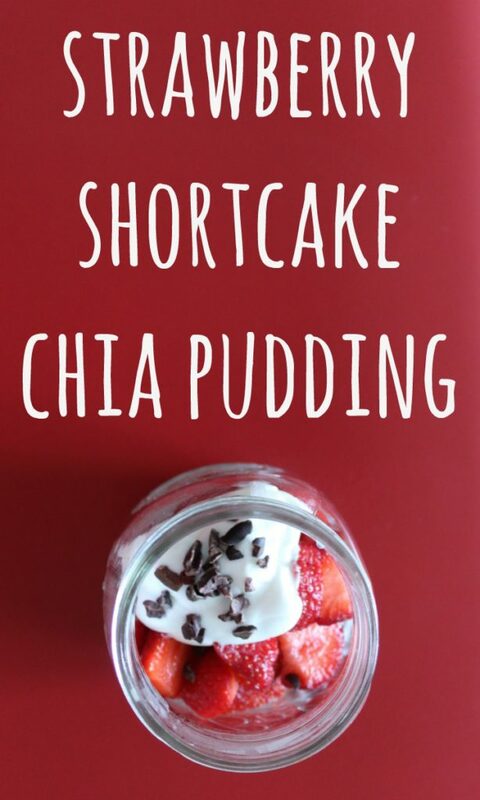 What a delicious looking chia recipe! Thank you for sharing, I can’t wait to try it! Ashleigh recently posted…Wednesday Link Up +GIVEAWAY! LOVE chia! This sounds so good! What a great idea! 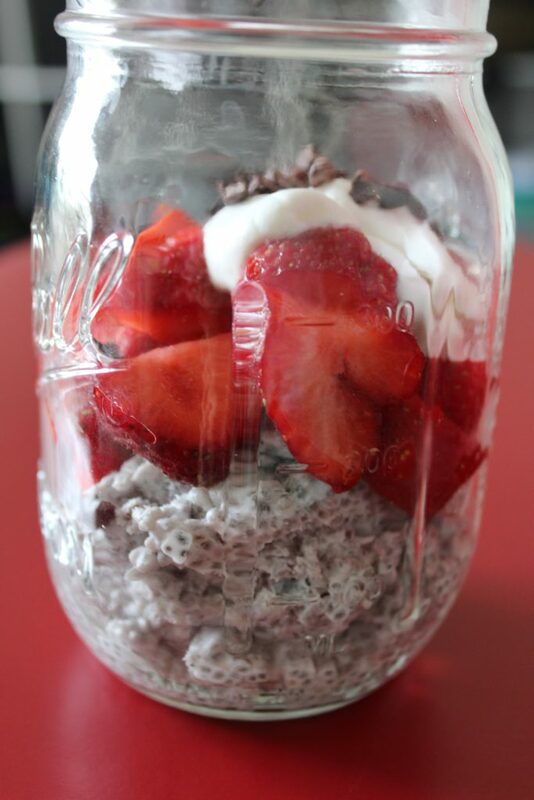 I love strawberry shortcake and this is so much healthier yet still looks delicious! Oooh this does sound good!!! I love strawberries. A great breakfast idea! Thanks for sharing the recipe. I have been reading the wonders of chia seeds and planned on buying some. My question was “what am I going to do with them?” and then I saw you post. This looks delicious and I bet would be great with other berries such as blackberries and blueberries. I can’t wait to give it a try! Oh, this is so simple! I actually have ALL these ingredients in my kitchen now…I will be making this for sure. I have a feeling my kids would enjoy it too, thanks! This would be great for a festive-themed snack for fourth of July weekend! Thanks for sharing! Looks so good! I’ve heard amazing things about chia seeds. Atta girl! I reach for Greek yogurt. But my goal this summer is to try new things!